There are 236 different properties for sale in Spanish Fork, Utah. Most of these properties are residential, single family homes, but there are a few luxury condos or townhomes in Spanish Fork. Prices range from a low of $58,000 to $1,200,000. In 2013 houses that sold had a median sold price of $180,500. 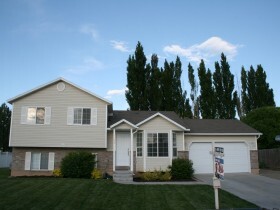 In the 3rd quarter of 2013 the average single family home that sold in Spanish Fork was $195,243. Other real estate on the market in Spanish Fork includes 53 condos, 7 multi-unit buildings including duplexes, triplex, and fourplexes and other multi-family properties for sale. Are you looking for Spanish Utah Real Estate MLS. Interior Feat: Dishwasher, Disposal, Master Bath, Range Oven Free Std.